Like the creators who use their gear, adidas is committed to their craft. They believe that sport has the power to change lives. 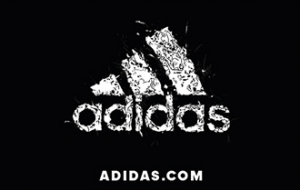 adidas creates innovative products, apparel and footwear for athletes and designs sport-centric streetwear for everyone. Their goal is to promote creativity and encourage anyone to harness the power of sport in their life. Add at least one item to your Shopping Bag and proceed to check out. Enter your delivery details and proceed to selecting your payment method. Possibly an additional payment method (only if the total purchase amount exceeds the balance on your card). Click the ‘Order now’ button to place your order. Your Gift Card can be redeemed in the UK and in the adidas Own Retail stores listed here. This card expires in 10 years.